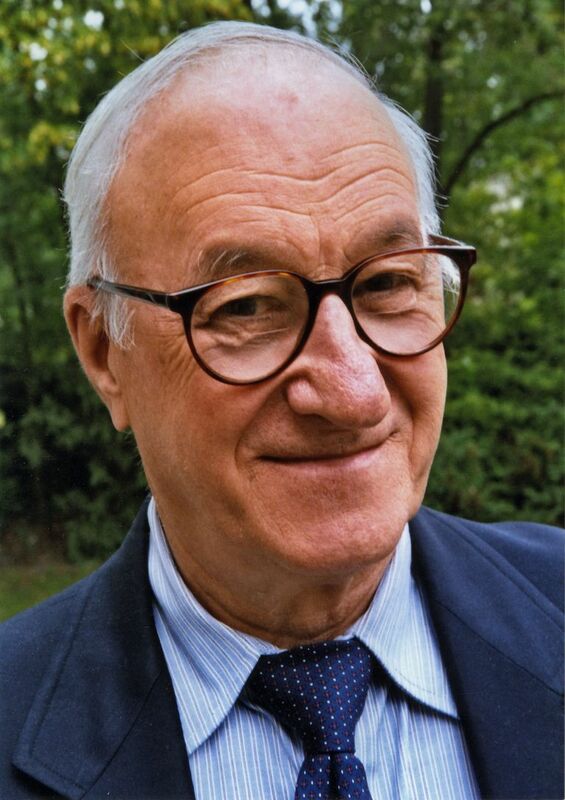 Albert Bandura is an influential social cognitive psychologist who is perhaps best-known for his social learning theory, the concept of self-efficacy, and his famous Bobo doll experiments. He is a Professor Emeritus at Stanford University and is widely regarded as one of the greatest living psychologists. One 2002 survey ranked him as the fourth most influential psychologist of the twentieth century, behind only B.F. Skinner, Sigmund Freud, and Jean Piaget. Albert Bandura was born on December 4, 1925, in a small Canadian town located approximately 50 miles from Edmonton. The last of six children, Bandura's early education consisted of one small school with only two teachers. According to Bandura, because of this limited access to educational resources, "The students had to take charge of their own education." He realized that while "the content of most textbooks is perishable...the tools of self-directedness serve one well over time." These early experiences may have contributed to his later emphasis on the importance of personal agency. Bandura soon became fascinated by psychology after enrolling at the University of British Columbia. He had started out as a biological sciences major and his interest in psychology formed quite by accident. While working nights and commuting to school with a group of students, he found himself arriving at school earlier than his courses started. To pass the time, he began taking "filler classes" during these early morning hours, which led him to eventually stumble upon psychology. Bandura explained, "One morning, I was wasting time in the library. Someone had forgotten to return a course catalog and I thumbed through it attempting to find a filler course to occupy the early time slot. I noticed a course in psychology that would serve as excellent filler. It sparked my interest and I found my career." He earned his degree from the University of British Columbia in 1949 after just three years of study and then went on to graduate school at the University of Iowa. The school had been home to Clark Hull and other psychologists including Kenneth Spence and Kurt Lewin. While the program took an interest in social learning theory, Bandura felt that it was too focused on behaviorist explanations. Bandura earned his MA degree in 1951 and his PhD in clinical psychology in 1952. After earning his Ph.D., he was offered a position at Stanford University. Bandura accepted the offer (even though it meant resigning from another position he had already accepted). He began working at Stanford in 1953 and has continued to work at the university to this day. It was during his studies on adolescent aggression that Bandura became increasing interested in vicarious learning, modeling, and imitation. Albert Bandura's social learning theory stressed the importance of observational learning, imitation, and modeling. "Learning would be exceedingly laborious, not to mention hazardous, if people had to rely solely on the effects of their own actions to inform them what to do," Bandura explained in his 1977 book on the subject. His theory integrated a continuous interaction between behaviors, cognitions, and the environment. His most famous experiment was the 1961 Bobo doll study. In the experiment, he made a film in which an adult model was shown beating up a Bobo doll and shouting aggressive words. The film was then shown to a group of children. Afterward, the children were allowed to play in a room that held a Bobo doll. Those who had seen the film with the violent model were more likely to beat the doll, imitating the actions and words of the adult in the film clip. The study was significant because it departed from behaviorism’s insistence that all behavior is directed by reinforcement or rewards. The children received no encouragement or incentives to beat up the doll; they were simply imitating the behavior they had observed. Bandura termed this phenomenon observational learning and characterized the elements of effective observational learning as attention, retention, reciprocation and motivation. Bandura's work emphasizes the importance of social influences, but also a belief in personal control. "People with high assurance in their capabilities approach difficult tasks as challenges to be mastered rather than as threats to be avoided," he has suggested. Is Albert Bandura a Behaviorist? While most psychology textbooks place Bandura’s theory with those of the behaviorists, Bandura himself has noted that he "...never really fit the behavioral orthodoxy." Even in his earliest work, Bandura argued that reducing behavior to a stimulus-response cycle was too simplistic. While his work used behavioral terminology such as 'conditioning' and 'reinforcement,' Bandura explained, "...I conceptualized these phenomena as operating through cognitive processes." Bandura has been a prolific author of books and journal articles over the last 60 years and is the most widely cited living psychologist. Some of Bandura's best-known books and journal articles have become classics within psychology and continue to be widely cited today. His first professional publication was a 1953 paper titled "'Primary' and 'secondary' suggestibility" that appeared in the Journal of Abnormal and Social Psychology. In 1973, Bandura published Aggression: A Social Learning Analysis, which focused on the origins of aggression. His 1977 book Social Learning Theory presented the basics of his theory of how people learn though observation and modeling. His 1977 article entitled "Self-efficacy: Toward a Unifying Theory of Behavioral Change" was published in Psychological Review and introduced his concept of self-efficacy. The article also became an instant classic in psychology. Bandura’s work is considered part of the cognitive revolution in psychology that began in the late 1960s. His theories have had a tremendous impact on personality psychology, cognitive psychology, education, and psychotherapy. In 1974, Bandura was elected president of the American Psychological Association. The APA awarded him for his distinguished scientific contributions in 1980 and again in 2004 for his outstanding lifetime contributions to psychology. Today, Bandura is often identified as the greatest living psychology as well as one of the most influential psychologists of all time. In 2015, Bandura was awarded the National Medal of Science by President Barack Obama. Bandura, A. Autobiography. M. G. Lindzey & W. M. Runyan (Eds. ), A history of psychology in autobiography (Vol. IX). Washington, D.C.: American Psychological Association; 2006. Lawson, RB, Graham, JE, & Baker, KM. A History of Psychology. New York: Routledge; 2015.